The San Diego County Water Authority works constantly to ensure that its complex network of water transportation, treatment, and storage facilities operated and maintained efficiently so it can provide a safe, reliable water supply to support the region’s economy and the quality of life of its residents. The Water Authority operates and maintains the San Diego region’s aqueduct delivery system, which consists of approximately 300 miles of large-diameter pipeline in two aqueducts, 1,600 aqueduct-related structures, and over 100 flow-control facilities, occupying 1,400 acres of right-of-way. 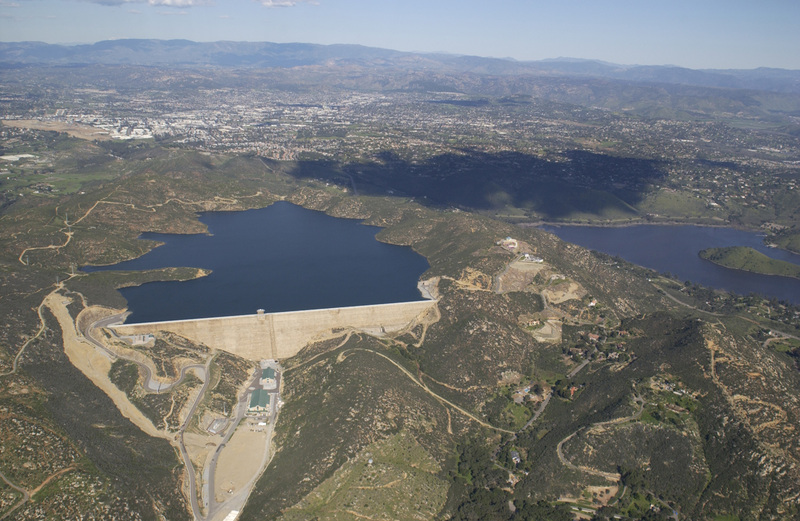 Approximately 80 percent of the county’s water is imported through the Metropolitan Water District of Southern California, from the Colorado River and the State Water Project. The water flows to San Diego County through five large diameter pipelines. The Water Authority takes ownership of these pipelines just south of the Riverside-San Diego county line. The main pipelines range in size from 48 to 108 inches and carry either fully treated potable water or untreated water that is then treated within the county. The system has the capability of delivering more than 900 million gallons per day. The pipelines and associated facilities run north to south along two routes known as the First and Second aqueducts. In addition to the main pipelines there are several interconnecting pipelines. These interconnecting pipelines have been built to ensure the ability to move stored water in the event of an emergency such as an earthquake. As an added feature, these pipelines have been designed to allow for system flexibility and alternative deliveries during maintenance activities. Other major facilities associated with the delivery system include the Olivenhain Dam and 24,000 acre-foot reservoir, the Twin Oaks Valley 100-million-gallons- per-day water-treatment plant, metering and control facilities, pump stations, hydroelectric generating facilities, pressure control stations, regulatory structures, an operations and maintenance center, and administrative office.